Do you understand your buyer? The commonest complaint that customers make about sales people or suppliers is: ‘these people don’t understand our business’. We live in the knowledge economy. Knowledge of all sorts and kinds is available to anyone at the press of a button. So there is no excuse for not knowing what a prospective client does and a certain amount about the person that you’re meeting. So rising buyer expectations in terms of preparation and knowledge are a given in today’s business world. Most decision makers do not have the time to listen to ‘product pitches’. Buyers expect sales people to understand their issues, to help clarify those issues and apply solutions to address them. So the key terms are ‘relevance’ and ‘application’. Your company may have a wonderful new service centre in EMEA, but if the company that you’re pursuing only operates in APAC then this won’t be of much interest to them. Buyers do not normally make time to see people out of a sense of generosity. They have deadlines, schedules and issues. If they want time with us it’s because they hope we can help them address one of the many issues that they have to deal with. What they will appreciate is a seller who listens to them and then responds with an additional perspective that their capabilities can provide. This improves the nbuyer’s understanding of his current situation and takes them closer to achieving their goal or solving their problem. The latest study compiled by Miller Heiman’s research group shows a number of trends that separate the world’s most successful ‘World Class’ companies from others. One of these trends is ‘understanding why our customers buy from us’. 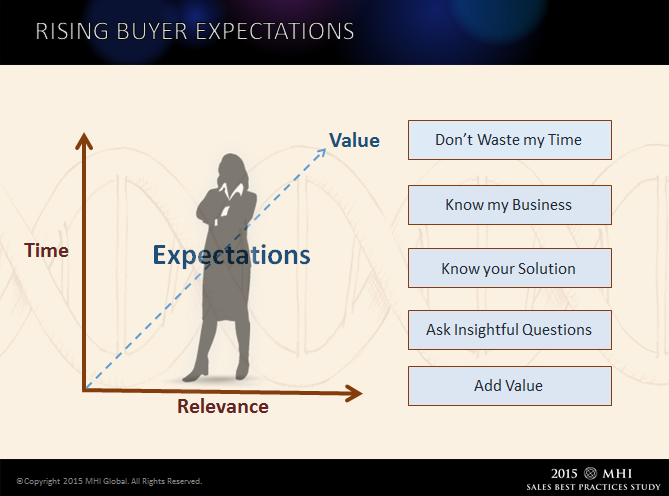 This is an essential step in understanding and meeting rising buyer expectations. To read the full report go to the front page of the website to download your free copy. 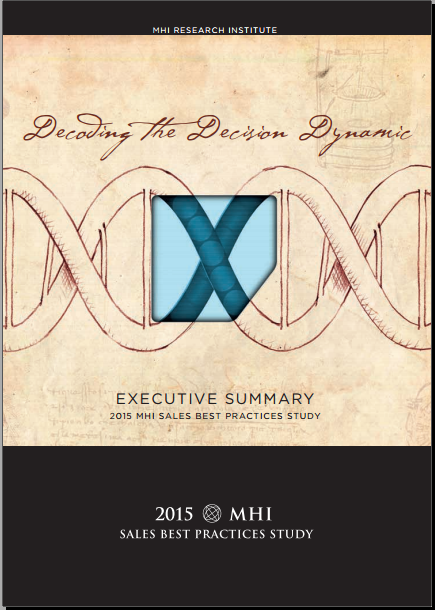 previous post: Miller Heiman CSO Insights Survey – Extended!